GOLD Global Organisation Luxury Distribution is an icon of luxury products distributed to the markets of the whole world. 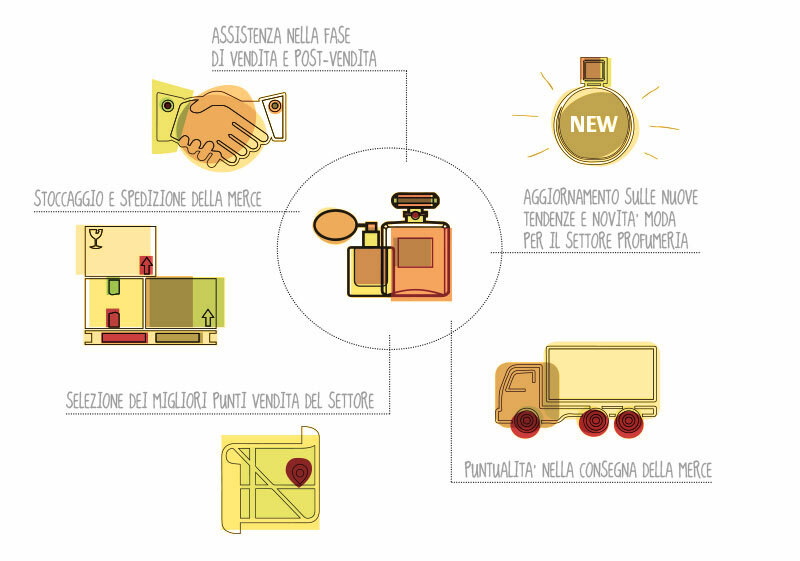 Gold adds to is perfumery sector a new line dedicated to the distribution of Ariola wines. a service of communications and updates dedicated to the customers about new trends and interesting fashion news for the perfumery field. Direct contact with the client for the sale and post-sale phase assistance. Informative support for the product collections. Website restricted area dedicated to the customers for the communications of promotions, new initiatives and events. Sale force assistance in every phase of the sale activity, providing information and updates regarding the product collections as well as a problem solving support in the customers relationship. Specialized logistic in the perfumery field entirely dedicated to GOLD. Innovative packaging and shipment in order to offer to the client a guaranteed service of safe consignment.